Gionee Elife E6 the latest flagship from the company is now available from online retailer at price of Rs. 22165. even before the official launch of the handset. 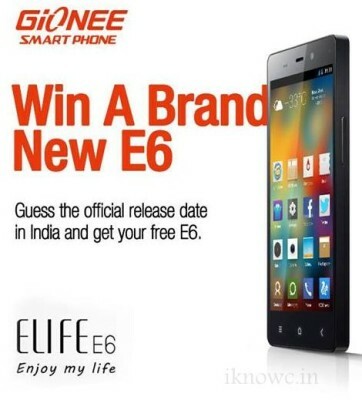 Gionee will Officially launch the Elife E6 in upcoming days. But you can own it before the official launch. The handset is highly popular because of its built quality, premium design and specially for its features. There are hardly two or three competitors for the Elife E6 in the market, the one we know is Intex Aqua i7. 13 mega pixel primary camera with SBI sensor and LED falsh. 3G, 2G, WiFi, Bluetooth, GPS / aGPS, FM radio.